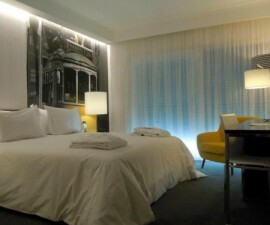 The Travellers House Hostel is an affordable and contemporary hostel in Lisbon, Portugal. If you are looking for an alternative to a faceless four-star hotel and would prefer instead to experience an authentic taste of the ‘real’ Lisbon, the Travellers House Hostel makes the ideal choice. The Travellers House has gained itself a reputation for being the most welcoming hostel in Lisbon. Its status has grown through word of mouth recommendations from a long line of satisfied guests who have been impressed with the experience they have enjoyed here. Staying in a hostel in Lisbon may conjure up images of dormitories stacked with bunk beds but the Travellers House offers something very different. 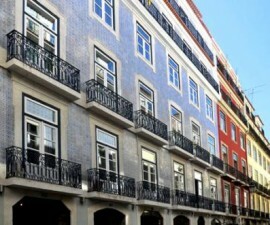 While there are shared rooms available, which are perfect for those looking for lower budget accommodation or the opportunity to get to know other guests, there are also a number of private rooms and some fully equipped studios, offering all the privacy and amenities you could wish for during your stay in Portugal. The Travellers House Hostel has been created in a renovated 19th-century building and now offers comfortable, well-decorated rooms for a variety of visitors from all over Europe and beyond. There are four studios available, each of which offers spacious accommodation and the chance to experience Lisbon ‘like a local’, with your own privacy to return to at the end of a day of sightseeing. Alternatively, guests wishing for their own room are offered a choice of four doubles, all with their own en-suite bathroom and of varying budgets. 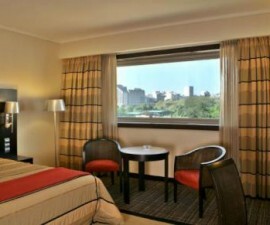 Guests can expect to find linen, towels, air conditioning and heating all provided. For many, the Travellers House Hostel is an ideal opportunity to spend their time in Portugal getting to know other travellers, whether visiting for a weekend or as part of a longer trip. The shared rooms of this hostel in Lisbon are usually populated with a variety of visitors of all ages, each of whom is keen to discover all that this vibrant city has to offer and to share their experiences with their fellow guests. The fully equipped kitchen area makes for a great congregating place, where are able to cook, eat, drink and chat throughout the day and evening. A buffet breakfast is also served each morning. This hostel in Lisbon knows how to entertain its guests too. Try your hand at Segway riding or take one of the organised minibus tours to Sintra, Cascais or Cabo da Roca – these are excellently priced and will deliver you door to door to the very best sights in the area.